Feel Good Lamb is naturally delicious! Made with tender British Lamb, nourishing rice and a selection of healthy vegetables. This delicious single protein meal is 100% natural and gently steam cooked. A complete meal that will provide your dog with all they essential nutrients they require for a healthy, balanced life. 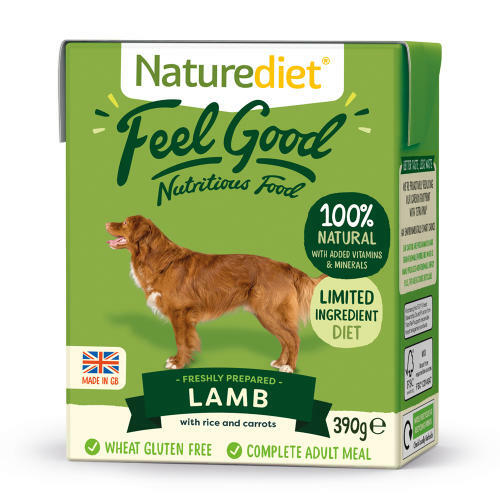 Feel Good Lamb is gentle on digestion and can be particularly beneficial for dogs with tummy troubles. Suitable for all breeds of adult and senior dogs, as well as puppies over 6 months old.